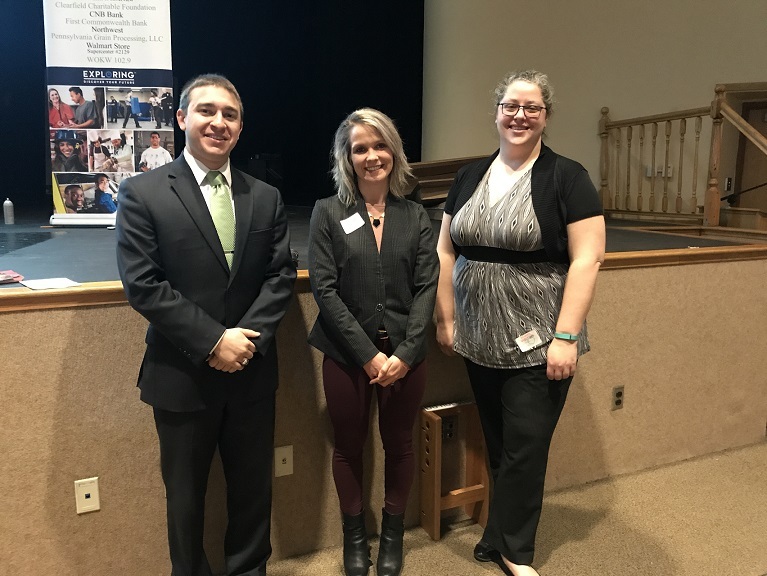 CURWENSVILLE – On March 20, students at the Curwensville Area High School heard from speakers Elizabeth Kepler, a State Farm agent, and Sheri Price, district executive for the Boy Scouts of America, Bucktail Council. Kepler discussed how she became a State Farm agent and the passion behind finding a career that you love. Price administered a survey that is conducted toward the end of the school year to evaluate the students’ interests for the following school year. Ryan P. Sayers, coordinator of the Greater Clearfield Chamber of Commerce Exploring Program, introduced the speakers.